Found 21PilotsPodcast soon after Twenty One Pilots released Trench. Music fans will enjoy it, TÃP fan base will love it. Christopherâs guest provide a perspective you canât get from Tyler and Josh. And you gotta love that storytelling voice. I havenât really been into podcasts, but I decided to try it out since I have an hour drive to school everyday. I had actually found out about this podcast a while back, but never really listened to it, until now. I LOVE it! Keep doing this man! Makes my boring drive much much better and something to look forward to! i love this podcast eeki listen to it all the time while i'm getting ready for school, going to sleep, or doing homeworkkeep up the fantastic workalso you should join the clique amino! look it up!!! Stumbled across this podcast and in the second episode where you talk to the radio person it started out good but got very boring because you completely stopped talking about 21 pilots and started talking about each of your's favorite bands. Boring. I came to hear about 21P. Not giving up yet though. I love twenty Ã¸ne pilÃ¸ts and while theyre on hiatus this give me a piece of their music i was missing! I really enjoyed your podcast and itâs nice to listen to keep up the good work!! Josh and Tyler love this so much!! Iâm with josh and Tyler right now, And listening to this they really love it!!! Keep up the good work! I love listening to you podcasts! Thank you for making these. When I started listening to podcasts as a way to fill my hour-long commute to college each day, I didn't think I'd find one specifically about my favorite band! The Twenty One Pilots Podcast has become my favorite part of every day! It somehow makes me feel connected to other Twenty One Pilots fans! I love the content and discussions! Thank you, Christopher, for a fantastic show! I look forward to listening to all of the episodes!! Thank you so much for making this podcast! I just found it Monday, it's Friday now, and I've already listened to every episode. It's such great quality: research, depth, structure, details, guests, music, sound production. Your voice is great, and the show is just so good that I'm listening a second time. The TÃP World was missing this. I'll be looking forward to more interviews when their new music is released, and your radio show, someday, too. It was so fascinating to hear Chris Salih's story in his own words, it felt like I was just hanging out listening in to a great conversation. Thank you!! Great podcast! The interviewer is kind and respectful and seems like a good guy. Just started listening. I love it. Hope to see more people involved in TOP history on the podcast. Just flat out amazing. Never heard anything from these perspectives before, keep going man. I've been a fan for a while and I'm so happy there's a podcast for this band. The editing and quality are amazing. The content is very in-depth. I was immediately impressed with this podcast because they had a former member speak on one of the episodes. If you're a serious tÃ¸p follower, I would highly recommend. Super interesting, glad there's finally someone doing a podcast on the band! Thank you so much for this podcast! I'm a huge fan! But, I have a huge problem, too. I have recently become aware of the term "cultural [mis]appropriation", and I am concerned that twenty one pilots is guilty of this practice... Again, I am a fan, and I bring this up with a heavy heart. I love their music, but I want to make sure that there is a correct ethic behind it. Can you help me out with this? Something that I look forward too! Honestly this is such and amazing podcast. I love the way you're approaching these topics with bands. I'm very glad I have stumbled upon this! My favorite thing about Twenty One Pilots is learning about Twenty One Pilots. Thanks for all of your hard work! I kept periodically searching for a podcast about them, and I was so excited when yours popped up! It was a dream come true! I love this podcast! Dude your voice is pretty satisfying. You should join The Clique Amino. great podcast for a fan! Great for the TÃP fan! 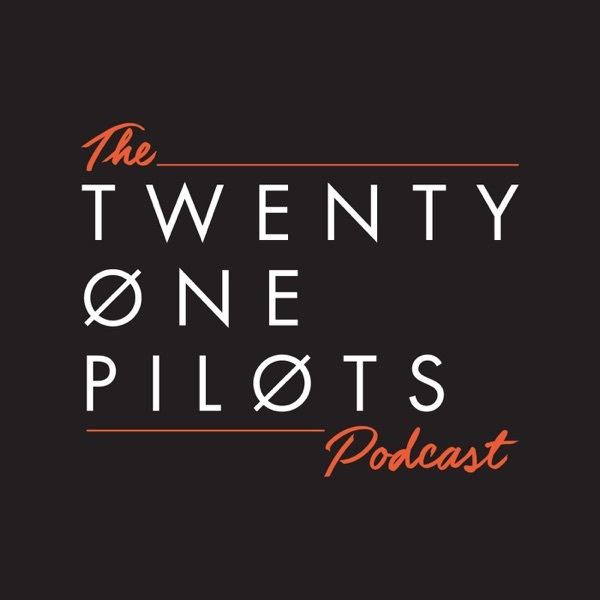 Great podcast for the TÃP Fan or just for the music fan in general!